Tax season is here! Get your taxes in order! Home » Financial News » Tax season is here! 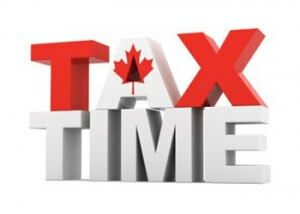 It is that special time of year again where Canadians from coast to coast are thinking about their taxes i.e. tax season! For some consumers, there is no rush to do their taxes however we are telling you – being prepared to do your taxes beforehand will save you lots of headache and financial stress. “When you have all of the necessary receipts and paperwork to do your taxes beforehand, you will relieve a lot of stress and you will be able to take full advantage of all of the tax credits you qualify for,” says Jeffrey Schwartz, executive director, Consolidated Credit Counseling Services of Canada. “The problem lies when Canadians rush to do their taxes on the eve of the deadline. That’s when you’re bound to forget about important receipts or neglect taking advantage of credits that might help you,” says Schwartz. Now we’re not saying to go and buy an accordion for the sake of joining a band. What we’re recommending is for you to buy an accordion file folder system which will help you to file all of your important tax time receipts. Remember to include donation receipts, T-slips, notice of assessments etc. The more organized you are this tax season – the better the whole process will be. If you owe the Government of Canada some money, it is time to settle your outstanding balance or there may be a delay in processing your income tax return when you file it. If you are hoping to get a decent refund from the government – make sure you get even with the feds before filing your taxes. Your income tax return can be processed a lot faster if you decide to file your taxes online. The Canada Revenue Agency says it normally takes four to six weeks to process a tax return received by mail. You can reduce all of the time involved by heading to the internet to complete your tax return. Choosing to file online can reduce the processing time to 10 days! Sometimes filing a tax return can be a lot of work. 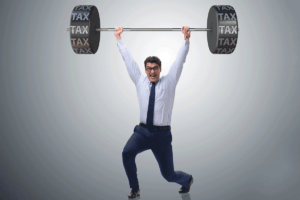 And if you are uncomfortable with numbers or despise having to use a calculator – it may be in your best interest to seek the services of a trusted tax professional. Before you choose just about anyone to do your taxes – make sure you do your research to ensure the person is legit or better yet, speak to their current or past clients. 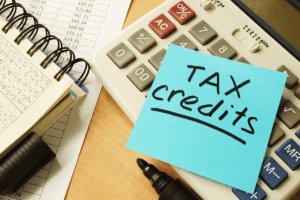 We’re not talking about your credit card or credit history – we’re talking about tax credits. So take time now to research the kinds of tax credits you qualify for. Don’t leave it to the last minute. When you rush to find answers – you may overlook important tax credits. If you’ve crunched the numbers and you are overwhelmed at the amount of money you owe the government on top of your growing credit card debt, it is time to stop running and get help to manage your debt. You do not have to suffer alone, one of our trained credit counsellors can reduce the stress and help you manage your debt. Give one of our trained credit counsellors a call today at 1-888-294-3130.